At Trewithen Dairy, Cornwall’s largest milk bottler, our people are the key ingredient to support the next phase of our ambitious plans. Our business is growing and we are looking for talented pro active individuals to help us in our journey. 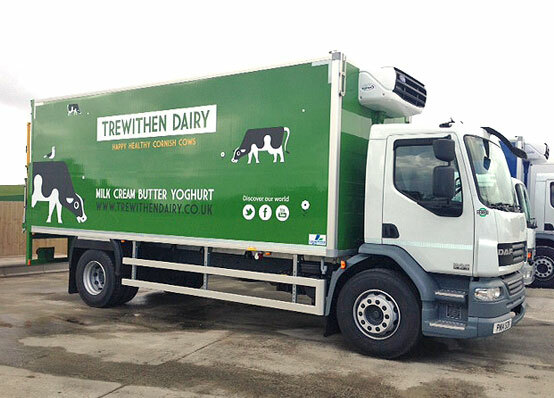 We are currently recruiting for a number of full time Class 1 (LGV C+E) Farm Collection Drivers to support our expanding Farm Milk Collection Team. The role will be based within Cornwall. We run artic tankers and a rigid 8 wheel tanker. Full CPC is preferred and previous Farm Collection Tanker experience is essential for the role. Customer Service skills are essential as the role will be dealing with our team of farmers, as will be the ability to deal with the necessary paperwork.